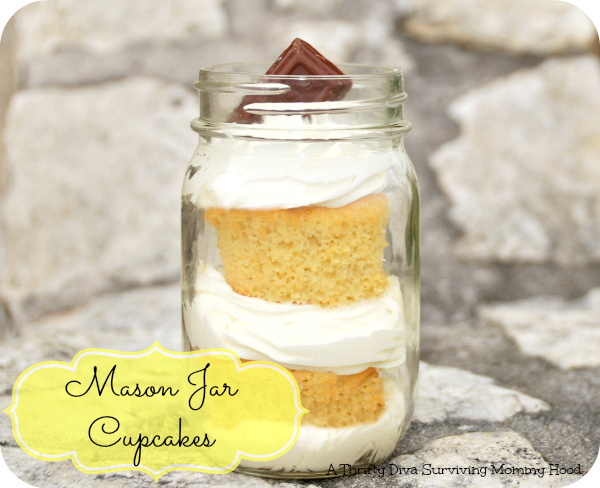 I have merged two of my favorites right now, to make mason jar cupcakes. Really, I have never been so excited to pass something on for no reason at all. And taking dessert on the go has never been easier or more fun. Mason jar cupcakes are perfect for taking on a picnic. I am inclined to head to the duck pond with a surprise lunch and a special treat of cupcakes in a jar. Leave just because mason jar cupcakes for a co-worker. Leave a note for the perfect thank you or congratulations. A special birthday, deserves cupcakes. 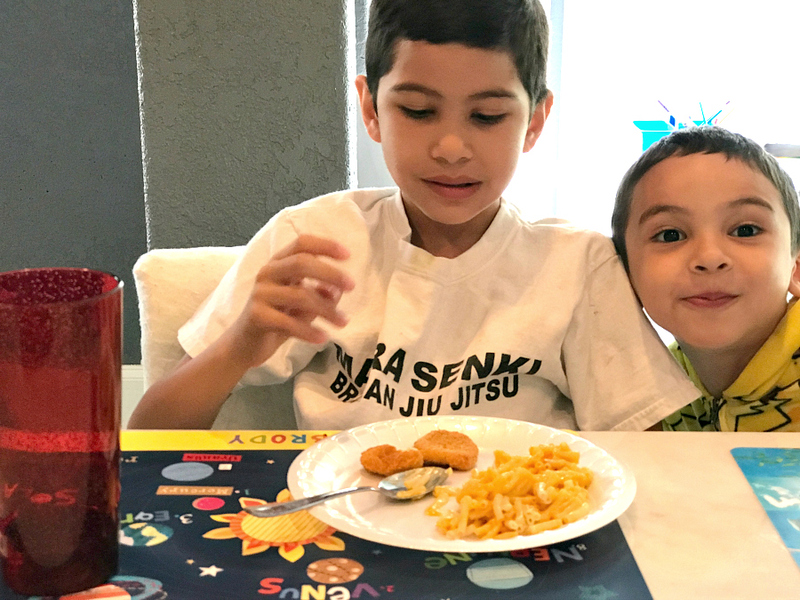 Send your child’s teacher a mason cupcake jar. Curly ribbon, a note, and a single candle tied to the side is perfect for that special teacher. I have been buying mason jars like crazy. The 8 oz. 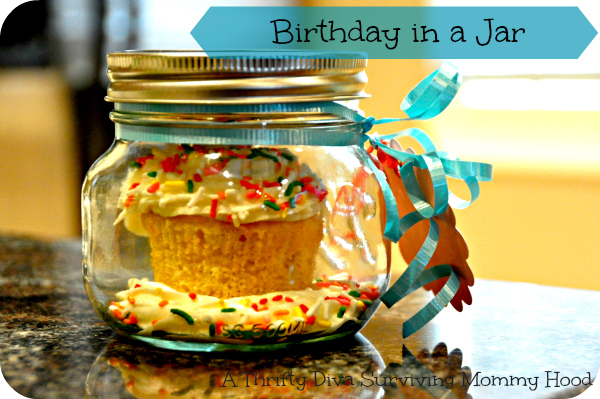 jars are perfect for single cupcakes and the 16 oz. size a great for double cupcakes. I make good ol’ fashion yellow cake mix from a box and add in pudding packets for the best moist cupcakes you will ever eat. If you have been reading last month I posted about my favorite box cake recipe and how I love to get away with box cakes and cupcakes. 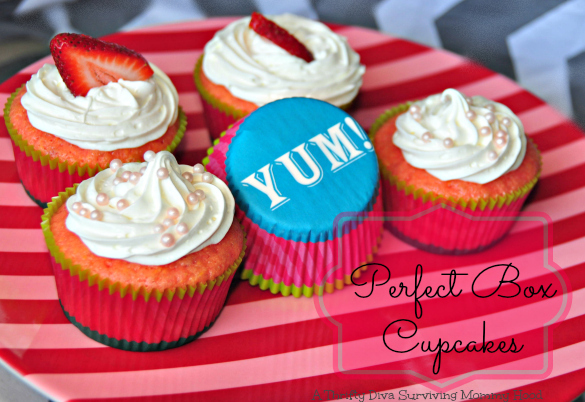 If you have a favorite from scratch cake recipe this is a fun way to incorporate it too. Bake your cupcakes, once the cupcakes have completely cooled peel liners off of the cupcakes you will use in your mason jars. 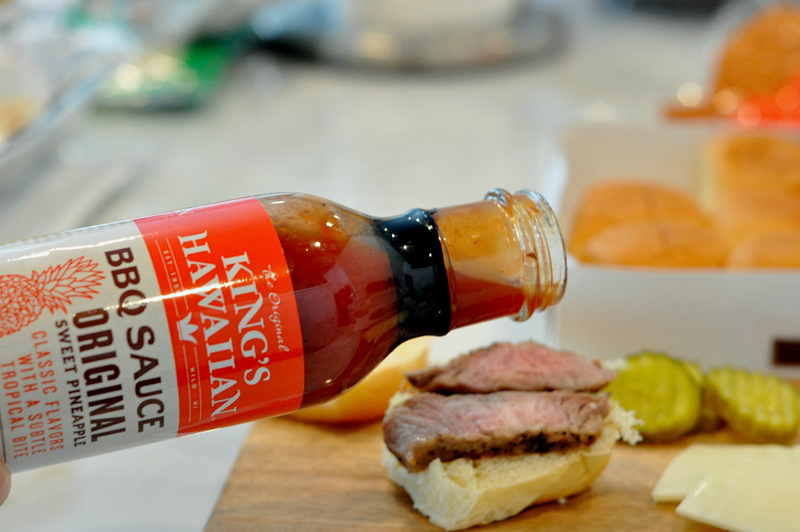 Take an icing decorator and put a layer at the bottom of your jar. 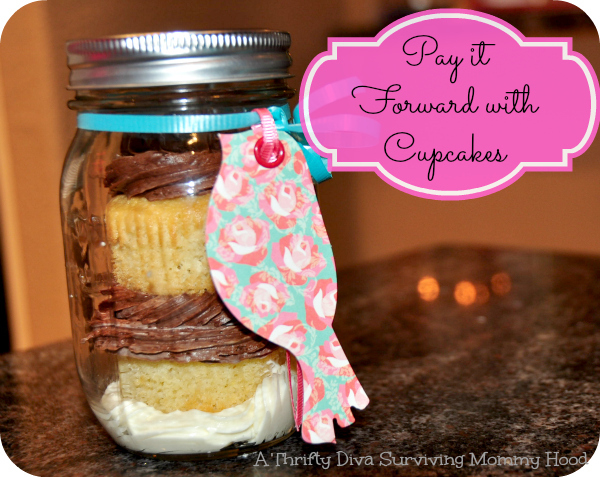 Layer your cupcakes and icing in the mason jar. Add a fun topping like chocolate, sprinkles or a sliced strawberry. Put a lid on it, add a fun scrapbook die cut, a note and they are ready for send off. Fun, easy and totally yummy mason jar cupcakes.